Size: Dia180x52mmH| dia 7.09x 2.05"
This decorative Christmas tin box features a annular shape, and it is designed for Christmas Day to pack candies or biscuits. Its premium look and highlight your logo and branding. The decorative Christmas tin box in 4-piece structure with a annular shape. It is a popular tin box of our range of Christmas tins. The Christmas tin box is designed for Christmas Day to pack candies or biscuits. Its premium look and highlight your logo and branding. The lid with four round grooves and is slip and a little domed. This adorable Christmas tin box features charming vintage imagery of Chritmas. Its printing is partial white +CMYK+ glossy finish outside and food grade golden varnish inside. Your customized printing is acceptable. Tinpak has very good manufacturing facilities and workers with very good practise to make sure all the Christmas tins are safe to meet the target market's food packaging regulations. Your desired designs are welcomed on Tinpak. In 2016, Tinpak installed 6 new automatic tin manufacturing lines and in-house Lab to ensure capacity and capability. The price will be cheaper and the leading time will be shorter as we will save much labors cost and improve the production efficiency by using automtic lines. 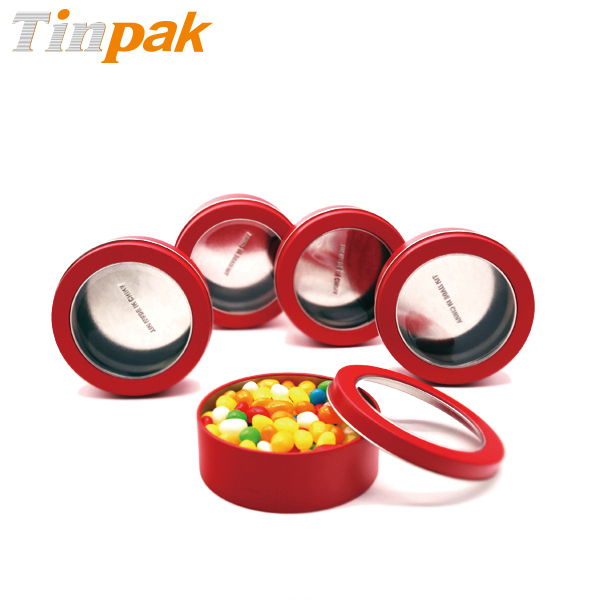 Our decorative metal candy tins is seamless structure with PET window. As seamless, it can prevent leak and moisture to keep original fresh breathiness for sweets. 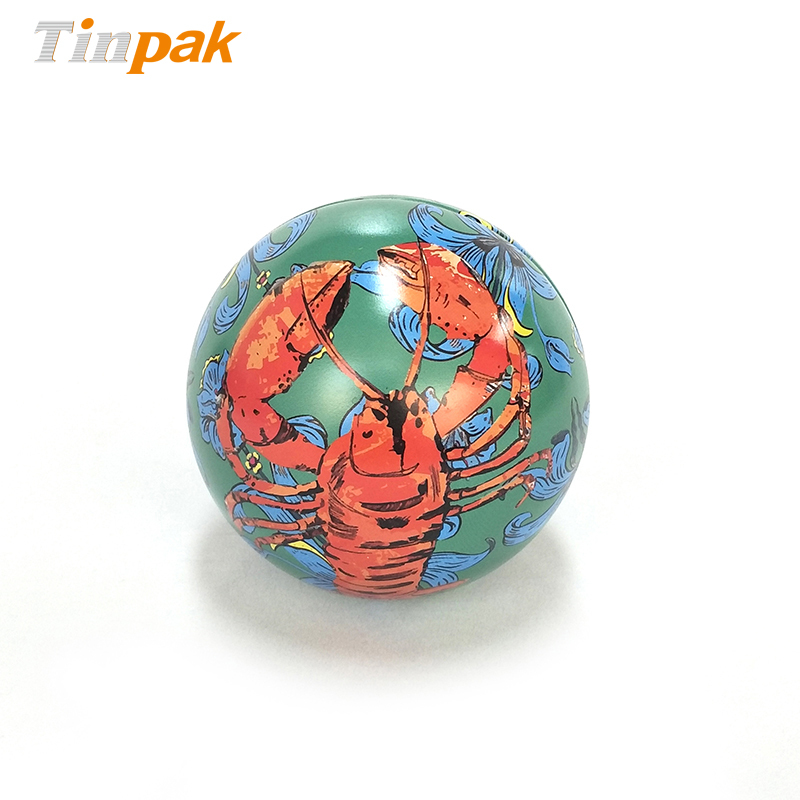 This deep drawn ball tins with custom made silk ribbon makes a good gift metal packaging for Christmas season. 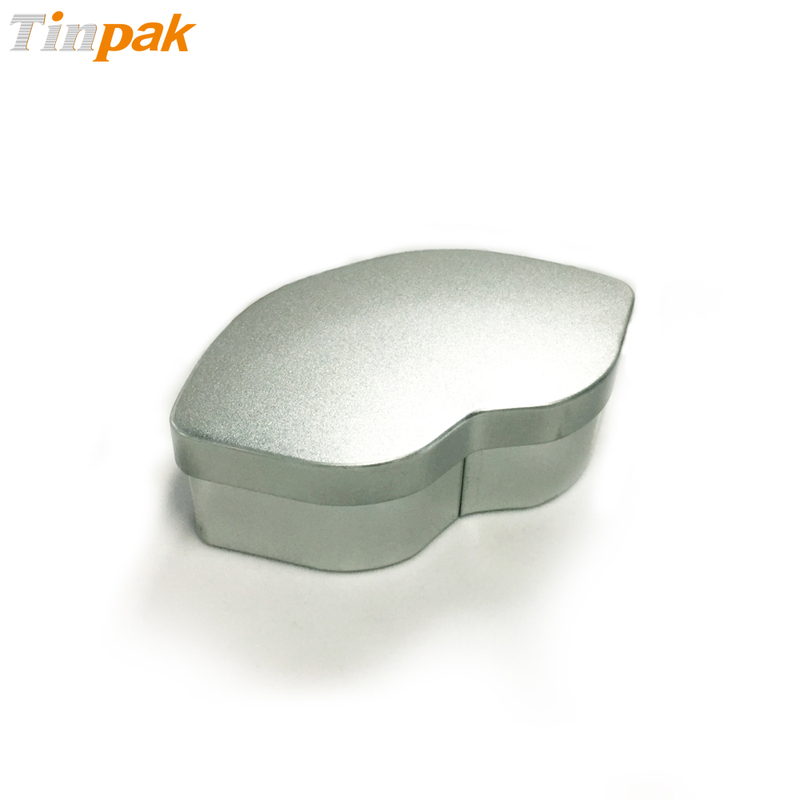 This premium lid shaped tin can for gift looks good and feels good.It can be customized with printing and logo. 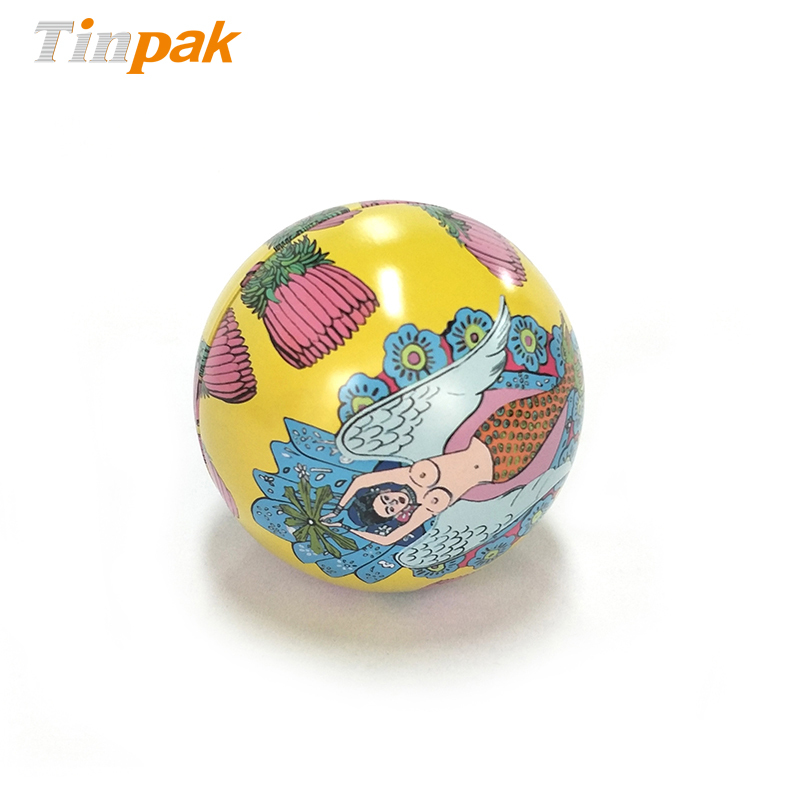 This deep drawn metal bauble with custom made silk ribbon makes a good gift metal packaging for Christmas season.